This ranch has everything. 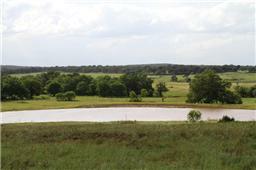 Excellent 153 acre recreational ranch located minutes from IH-10.The ranch offers large hardwoods, open areas and rolling terrain along with a new 3 acre lake, a smaller pond, and two live creeks. A small cabin has a water well, electricity and a septic system in place. Creek beds offer a great place for exploring. Located just a few miles south of Palmetto State Park and the San Marcos River, the property is bordered by a paved road and two county roads.